AUSTELL Joe S. ASN 14000064. Private when KIA. BANNON Robert H. Battery C.
BOOTH Kenneth L. Battery HQ. Awarded Bronze Star and Silver Star Medals. BOURNE Ben F Jr. Curry County, NM. KIA. ASN 38351989. Battery C. Private First Class when KIA on March 24, 1945. Awarded of Purple Heart Medal. BOWERSOX Russell L. Awarded Silver Star and Purple Heart Medals. 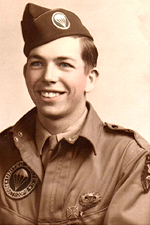 BROWN Samuel C. Awarded Bronze Star Medal. CALORE Joseph P. V. Battery C.
CHAMPAGNE John F. Awarded Bronze Star Medal. CHIPEGO Daniel G. Battery C.
COMBS Troy E. Battery D.
COZZIE Adolph A. Battery D.
CROW Charles M. Battery C.
CURTH Harry A Jr. Battery C.
DEATON Alex. Awarded Silver Star Medal. DICKEY Robert L. Battery A.
DUREE Charles (D or W) Jr. Battery A.Awarded Bronze Star Medal. 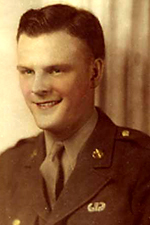 DURHAM Robert S Jr. KIA on March 24, 1945. 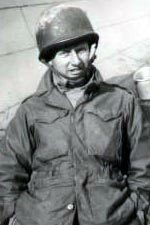 ELMER Warren P Jr. Battery HQ. FERNANDEZ Henry B. Hillsborough County, FL. KIA. ASN 20423127. Technical 4th Grade when KIA. Awarded Bronze Star Medal and Purple Heart Medal. FLANAGAN Joseph P. Battery HQ. FLORES Henry H. Battery HQ. FRIBORG John Robert. Battery HQ. FRYER Louis R. Battery C.
GALLAGHER William J. Battery B. Awarded Silver Star Medal. GAYLEY Thomas T. Battery B.
GESSELMAN John I. Battery B.
G HERE Warren E. Battery HQ. GLEASON Bruce M. Battery C.
GOETZE Maurice H. Battery B.
GONGALA Eugene V. Cook County, IL. KIA. ASN 36724919. GRITTER James R. Battery C.
GUDITUS William L. Battery C.
GUMPEL Stanley S. Battery HQ. HAMMERSTROM Ralph K. Polk County, IA. DOW. ASN 37673973. Private when DOW on March 24, 1945. HARDING Milton W. Battery A.
HARRIS Lloyd C. Battery HQ. HAYNES Harry Jr. KIA. ASN 36594970. Private when KIA on March 24, 1945. HAYNES Leroy L. KIA. ASN 20514968. Battery C. Sgt when KIA on March 24, 1945. Awarded Purple Heart and Silver Star Medal. HELM Robert F. KIA. ASN 36853232. PFC when KIA on March 24, 1945. Awarded Purple Heart Medal. HELMICK Calvin C. Battery A.
HORVATH John F. Battery C.
HOUSEL Dewitt W. Battery HQ. HUGHES Robert W. Battery A.
HUMPHREY William E. Battery D.
IDELER Martin. DOW. ASN 12103058. PFC when KIA on March 24, 1945. INFANTINO Anthony. Putnam County, NY. KIA. ASN 32002715. Pvt when KIA. INGHAM Albert L. Battery C.
JENNINGS Earl F. Los Angeles, CA. DOW. ASN O-1178201. Captain when DOW on March 25, 1945. Awarded Bronze Star Medal. JESSUP John W Jr. KIA. ASN 39155423. Pfc when KIA on March 24, 1945. Awarded Purple Heart Medal. JONES Charles. Battery C and HQ. Captain. KELLEY Fred J. Battery HQ. 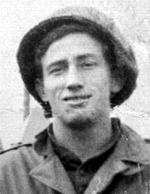 KERRIGAN Edward H (17/07/1923 - 24/03/1945). Lackawanna County, PA. KIA. ASN 33462922. Cpl when KIA on March 24, 1945. His body returned stateside (Cathedral Cemetery Scranton, PA). KNEPPER Elah E. KIA. ASN 35540107. Pfc when KIA on March 24, 1945. Awarded Purple Heart Medal. KRZESINSKI Alfons L. Battery HQ. KUHN Fred C Jr (16/07/1922 - 24/03/1945). Middlesex County, MA. KIA. ASN 31134643. 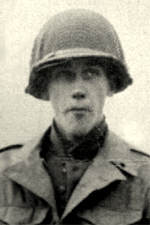 Battery B. Pfc when KIA on March 24, 1945. His body returned stateside in 1946 (Mt Auburn Cemetery, Arlington). KURKA John Jr. DOW. ASN 33107985. Cpl when DOW in England on October 3, 1944. 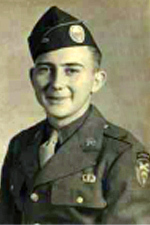 LAPORTE James H. Awared Silver Star Medal. LARKIN Charles I. Battery HQ. 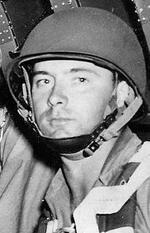 LEFLER James R. Awarded Bronze Star Medal. LETENDRE Albert G. Battery HQ. LOSS George H. Awarded Bronze Star Medal with Oak Leaf. LYNCH Peter T. ASN 39000882. His body returned stateside. McDonald Henry G. ASN 6387725. Sgt when KIA. His body returned stateside. McDonald Kenneth C. ASN 36864328. T5 when KIA. His body returned stateside.